A very important and relevant study – except that it ignores chronobiology. We would have liked to have seen chronobiology and the restoration of the circadian rhythm incorporated in both the causation of ill health in those with EHS/EMFIS and as part of the solution. 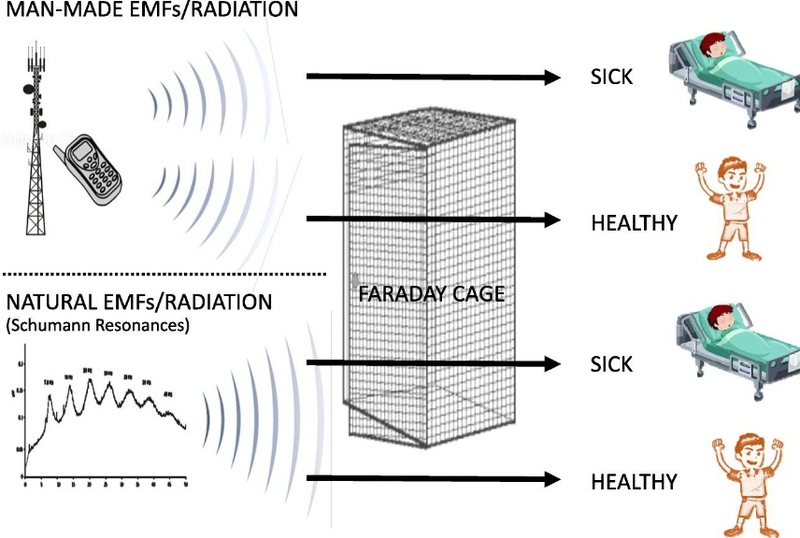 The use of generators to mimic natural frequency is certainly an avenue worth exploring but as with shielding there may be many unintended side effects especially with 5G. protective field when placed directly on devices”, etc. The authors point out that the above may increase risk. The authors refer to a recent single study reporting that the use of a chip on mobile phone had a protective role on changes in human EEG induced by the mobile phone without the chip (Henz et al., 2018). -no attempt to describe a mechanism of how the chip exerts a protective effect. -A request for explanations sent by us to the company that produces the chip as this was reported in this study, remained unanswered. (Note by EMFSA – we experience this on a regular basis when we enquire about these kind of products). -More studies must be performed that will address all the above unresolved issues,before such products could ever be recommended for protection, especially in view of the apparent lack of any possible scientific explanation. 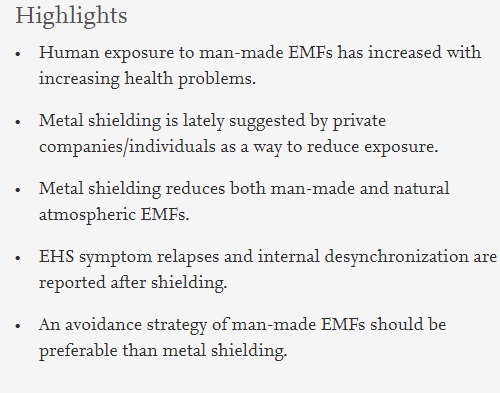 “For the cases in which people have no control on the EMFs they are exposed to, the scientific community must point out the problem, and the public health authorities must set rules to protect public health.” Our comment: easier said than done!